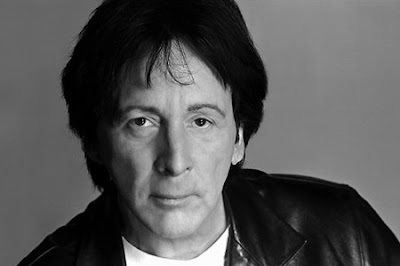 Original KISS drummer Peter Criss will receive the first "Man Of Courage" award from The Beauty Foundation For Cancer Care, a non-profit organization that serves to alleviate the physical, financial and emotional burdens patients and their families face while coping with cancer. The new honor will be named "The Peter Criss Man Of Courage Award" after this year. "I think it's wonderful that The Beauty Foundation is giving exposure to male breast cancer," Criss said. "The more aware that men become that this is not just a woman's disease, the more lives that will be saved." Now in its seventh year, The Beauty Ball is The Beauty Foundation For Cancer Care's largest annual fundraising initiative. The Beauty Ball will take place on Saturday, April 13 at Trump National Golf Club in Colts Neck, N.J., at 7:00 p.m. The event will include an evening of dancing and casino action, with cocktails and food served throughout the night. Tickets are $275 each and can be purchased online here. Criss was diagnosed with breast cancer in 2008. While working out, he noticed a lump on his chest that prompted him to visit a doctor; he was successfully treated with a lumpectomy. The drummer is reportedly working on a new album.